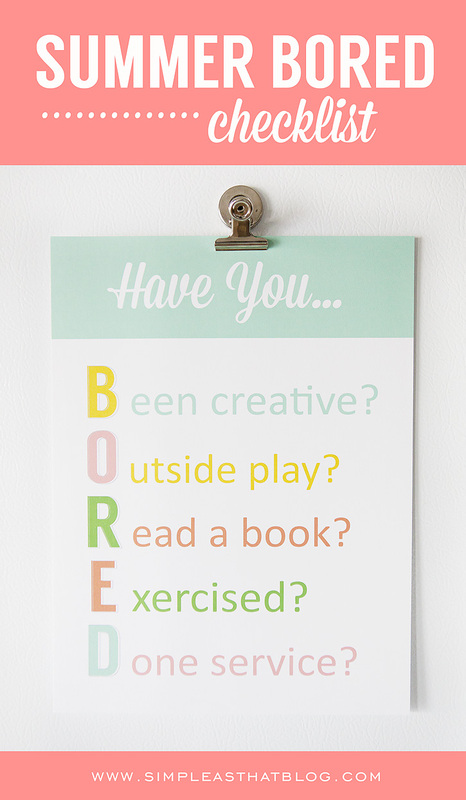 Summer is coming and I know I’ll be hearing that all too familiar phrase very soon…”Mom, I’m bored!” A few weeks ago I pinned this fabulous idea to my Parenting Pinterest Board and I’m excited to put this BORED Checklist into action to help combat the Summer boredom blues! I love this idea so much, that I decided to create a simple printable we could display on our fridge for the whole family to see. I love that it encourages the kids to come up with their own ideas of things to do. It inspires problem solving and creative thinking and puts the responsibility on them for making their Summer the best it can be! 1. Been creative. 2. Played outside. 3. Read a book. 4. Exercised for 20 minutes. 5. Done a service for someone. 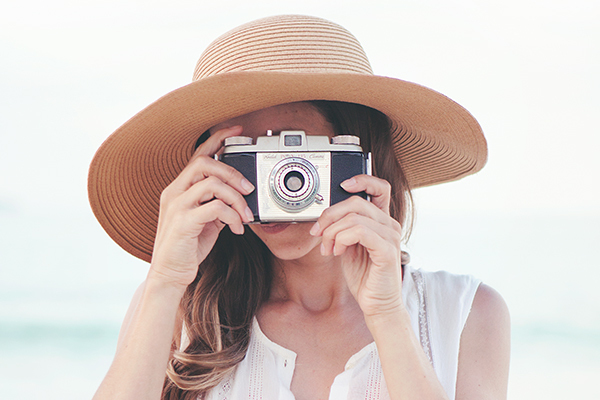 I’m curious to hear, what do you think of this approach to Summer Boredom? We have lots of fun stuff planned for the Summer, but I believe whole heartedly in leaving plenty of gaps for unscheduled, free time. 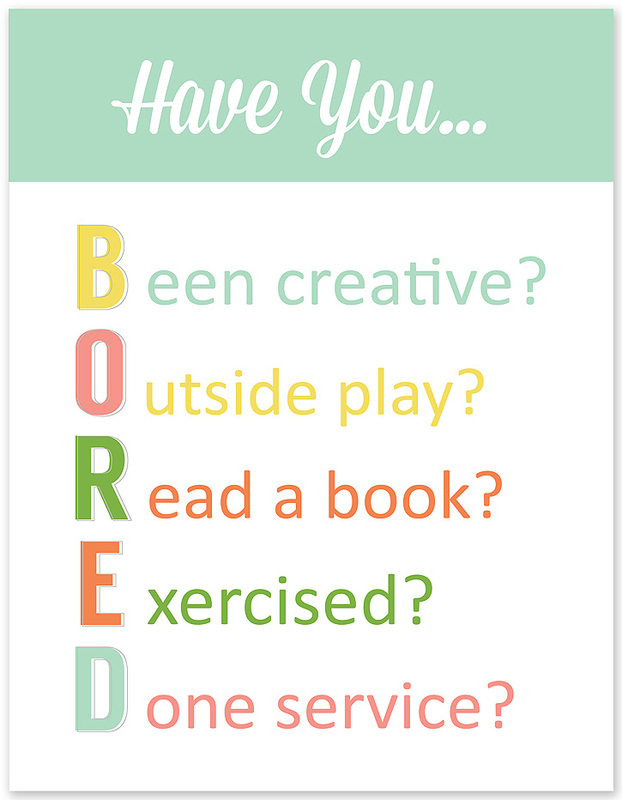 In fact, if the kids get bored — that’s OK with me! I want them to have time to read, to explore, to be creative and to just hang out with each other. I hope you enjoy this quick little printable. You can download it by clicking the button below. The BORED Checklist also coordinates with these Printable Family Chore Charts and Checklists that I shared on the blog last Fall. There’s definitely been an ebb and flow with how consistent we were with this system throughout the year, but I plan to continue with it throughout the Summer. 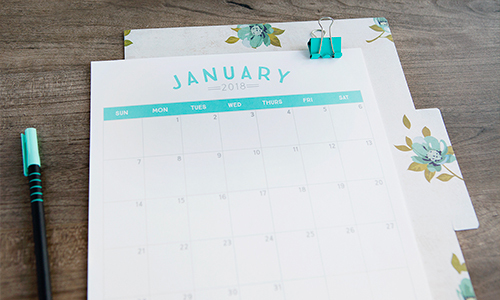 Visit this post titled How to Stay Organized Throughout the School Year to download your free chore charts/checklists and to read more about our system. 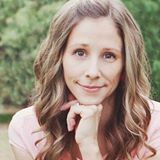 Follow my Parenting Board on Pinterest for all kinds of tips and Ideas! Follow Rebecca – Simple as That Blog’s board Parenting on Pinterest. It opens in MediaFire, which has several popups. Is there somewhere to just download the file without installing something? My computer is sending me warnings about MediaFire’s site. Thank you! I love your printable! Love this, summer needs organization! 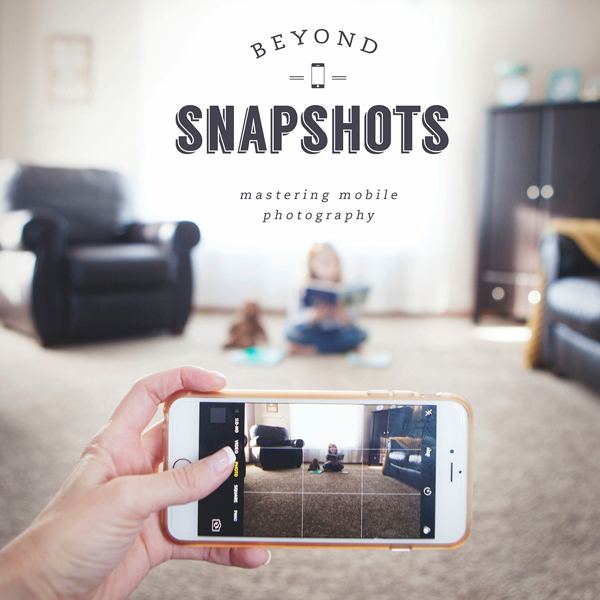 Absolutely love this printable! My Grandmother always said ghere is no such thing as boredom. Lol. Funny thing is my special someone says it a lot, so he might get sent this playfully.